When we set up Colorbox in the previous video, we discovered that it didn't quite work right. In this video we discuss the different places we can find documentation for a module, which is especially useful when things are going according to plan. Well, when you run into a problem that seems directly related to a contributed module like this, it's a good idea to read the documentation. Up to this point, we've been skipping that, because the modules that we've been using have been straightforward enough, and they've worked, right out of the box. It's good advice to tell you to read the documentation for every module that you use, but in practice, you may end up only needing it if something goes wrong. One place to go for documentation is on the module page. So we can read through this, it tells us a bit about what it does, what the features are, and if we continue reading down, eventually, we'll read this part where we get to the Dependencies, and this says all versions require the Colorbox plugin. 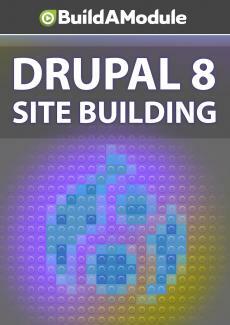 In Drupal 8, it's installed in the library's directory.